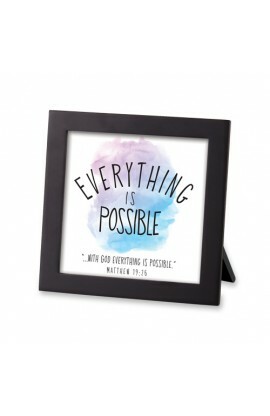 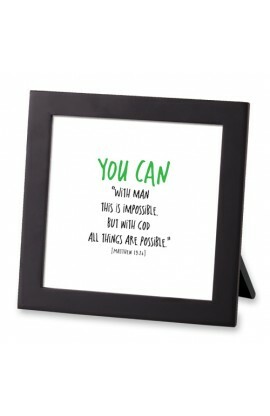 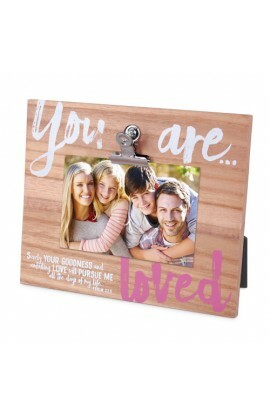 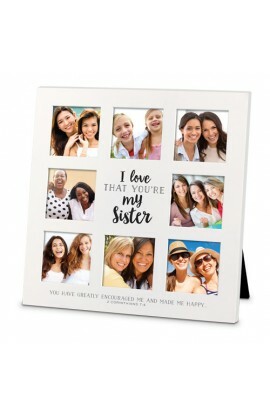 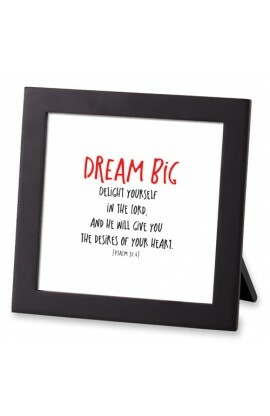 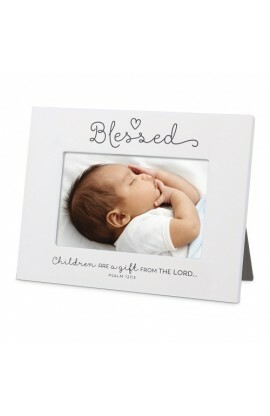 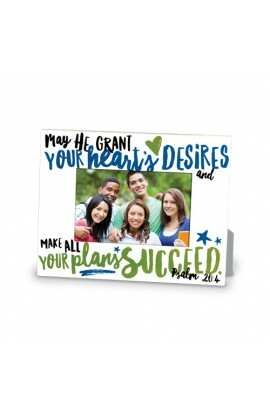 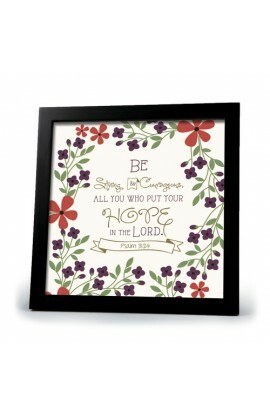 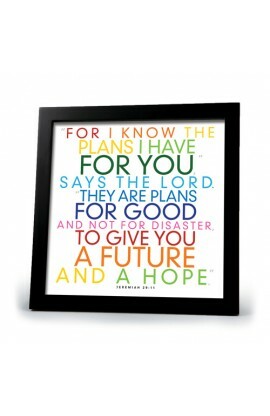 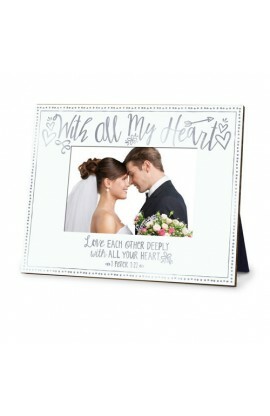 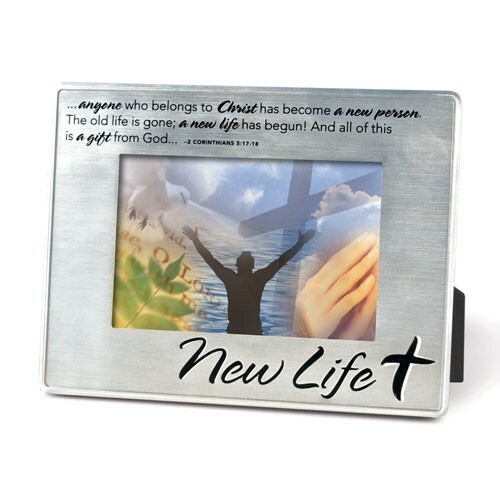 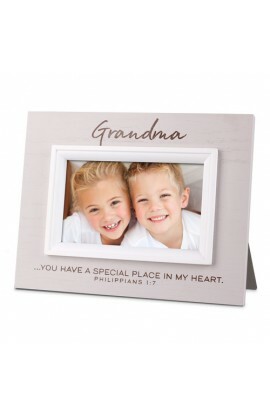 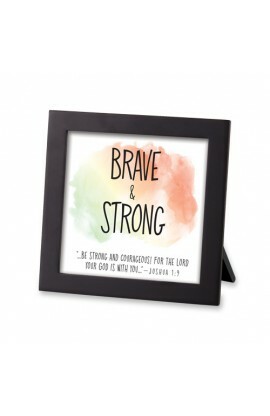 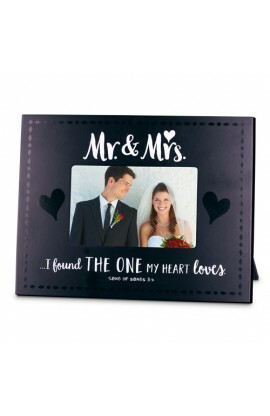 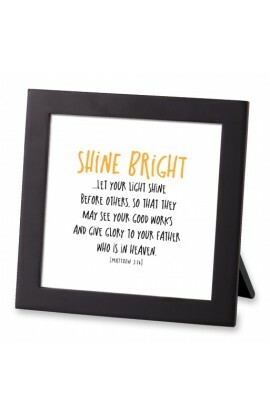 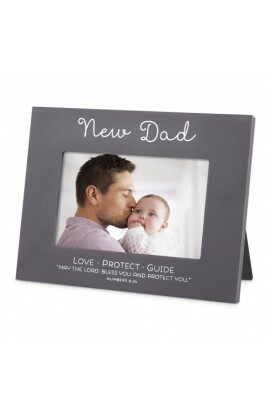 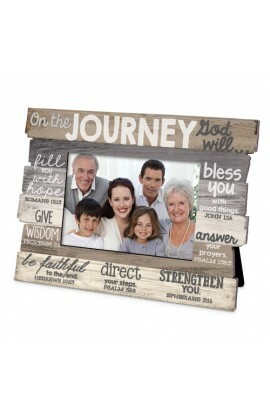 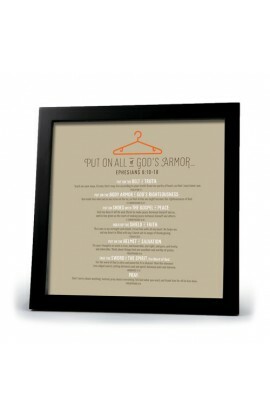 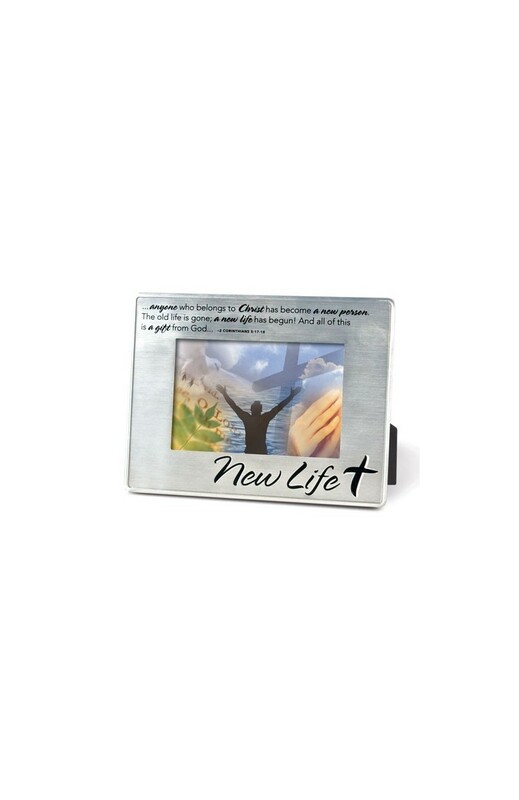 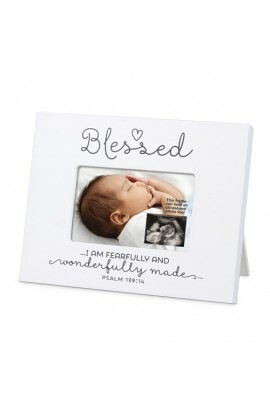 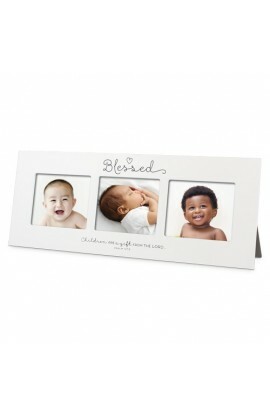 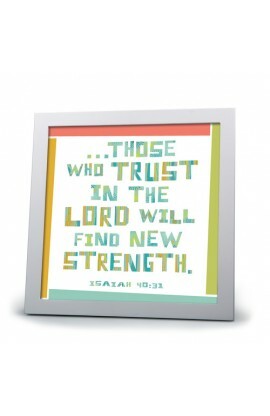 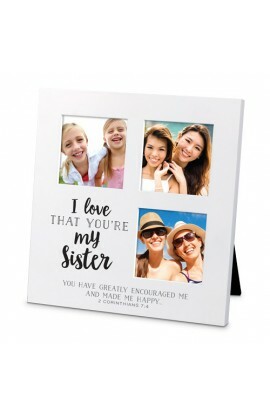 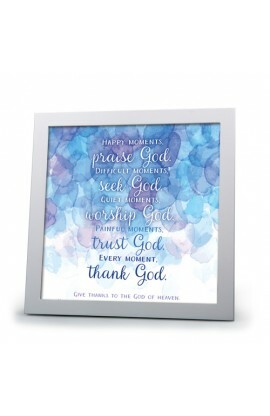 Satin finish metal photo frame is engraved New Life with cross motif and Scripture from 2 Cor. 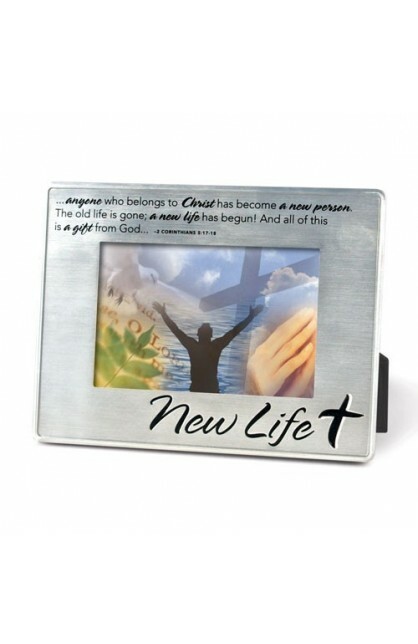 5:17 Anyone who belongs to Christ has become a new person... a new life has begun! 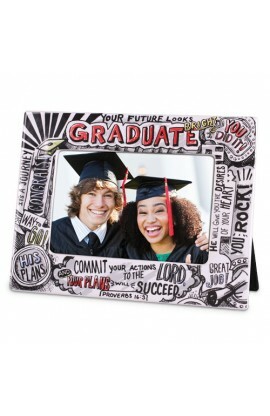 Velvetex easel back; displays a 4" 6" photo; approximately 8.75" x 6.75".